No, if you are subscribing to Basic Package. Yes, if you are subscribing the Advance Package. Please read here. You can solve the problem creatively using the basic Payment Forms. Our Payment Forms already come with additional fields that can be used by merchants for their additional requirements. 1. Open your Payment Form. 3. Please advise your customer to use this field in case you need additional information from them. 4. Once they have inserted the additional information that you need, the data will be captured and stored in your Dashboard. 5. To check the additional data, simply login to your Dashboard. 7. Select your preferred transaction. 9. Refer to “Customer Note” field. 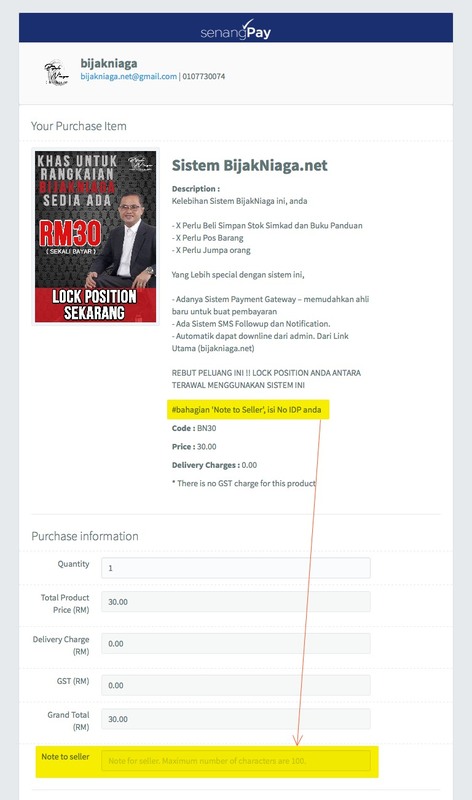 This is a real time example by our merchant Bijakniaga.net. You can view the Payment Form here. And of course, don’t forget to try his product because it helps a lot!